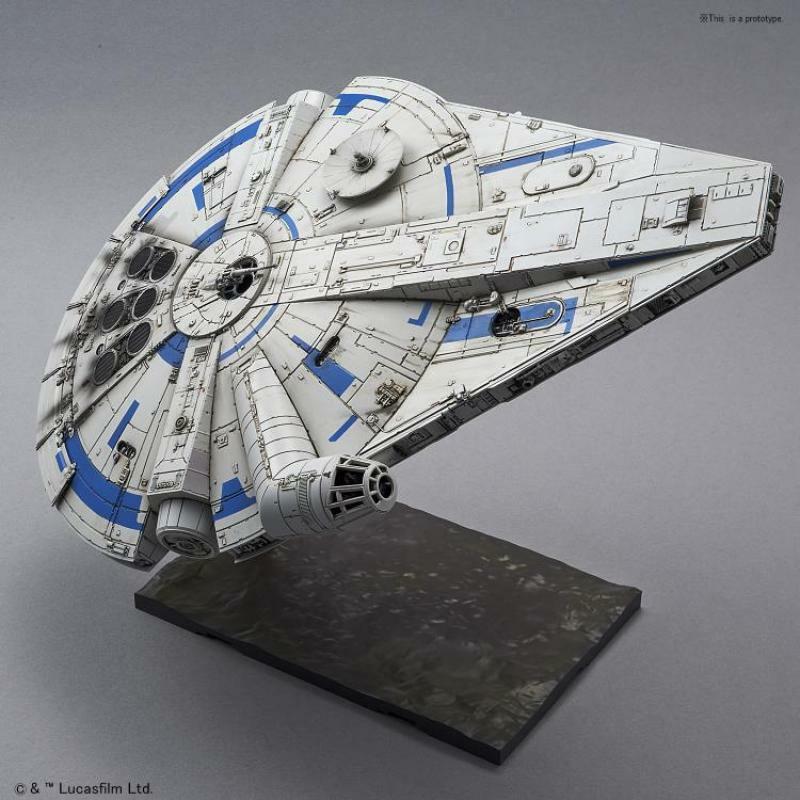 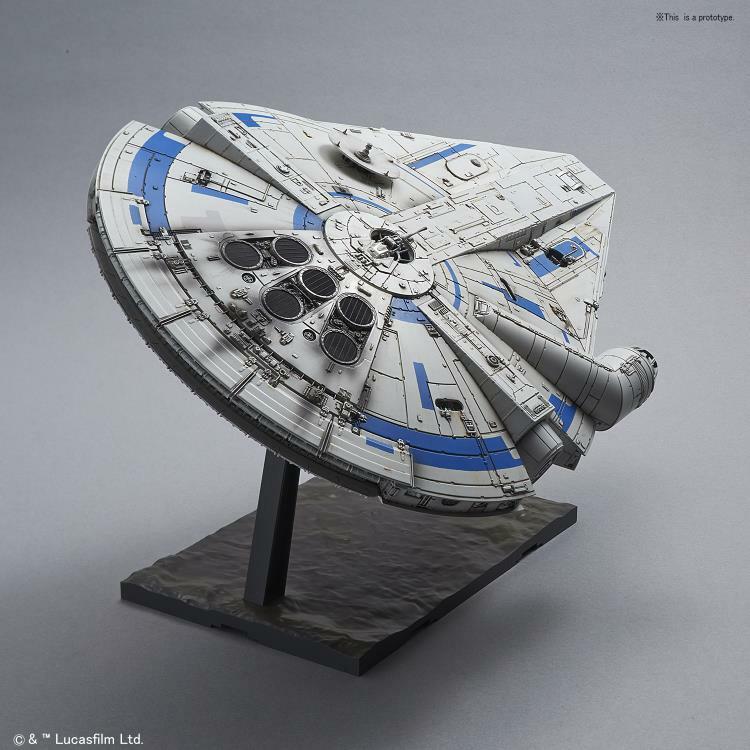 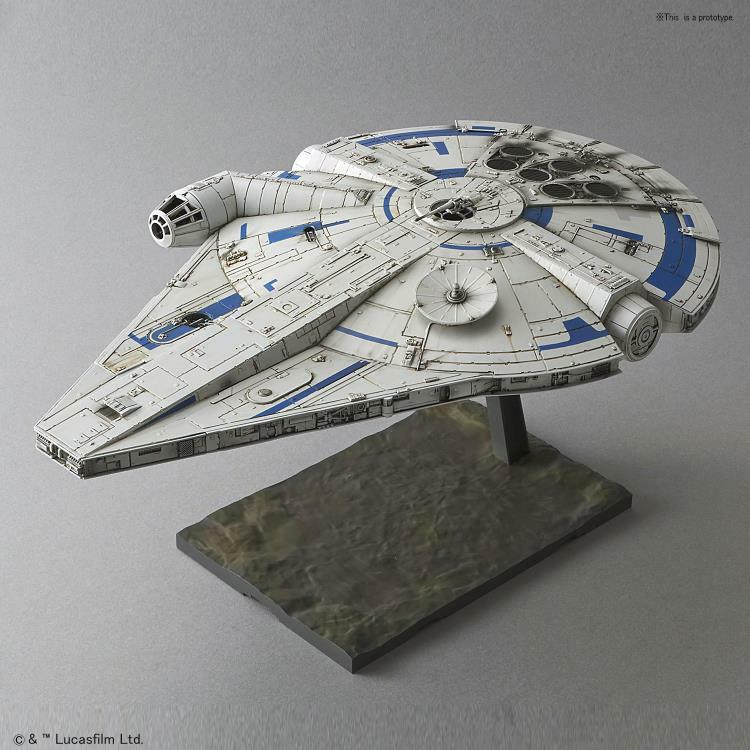 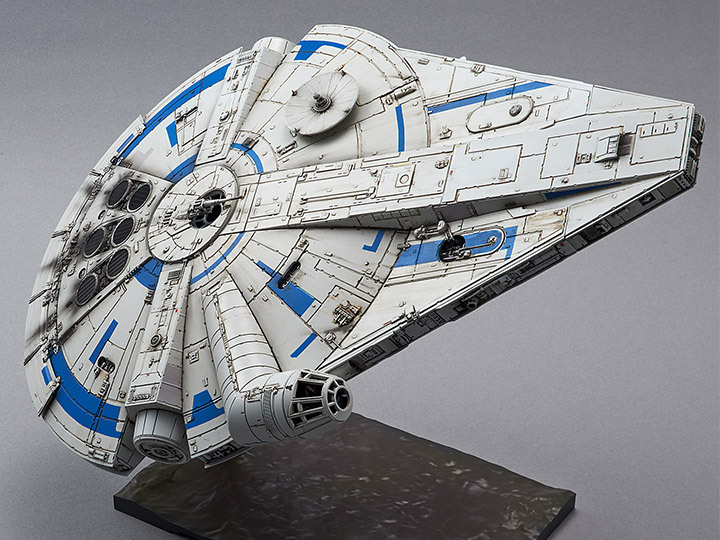 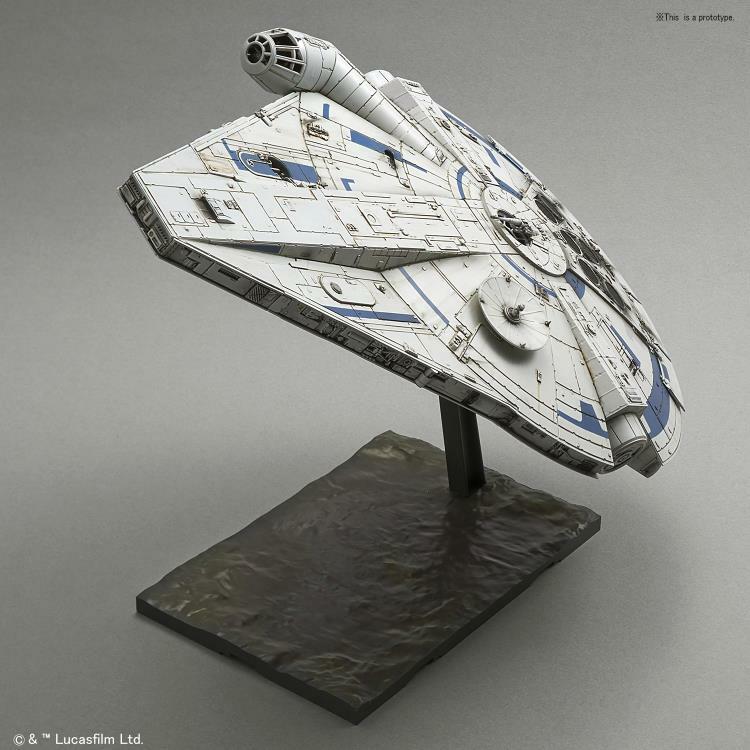 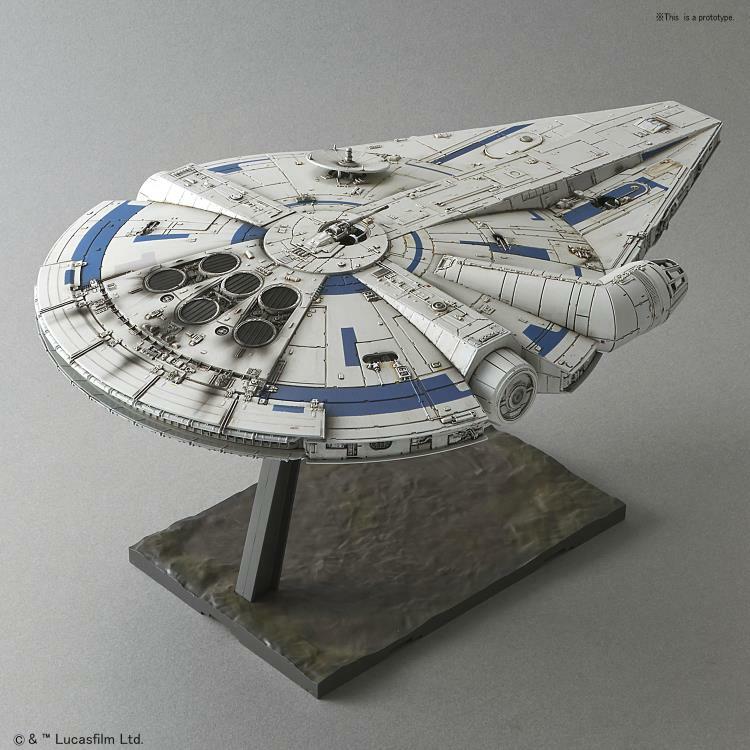 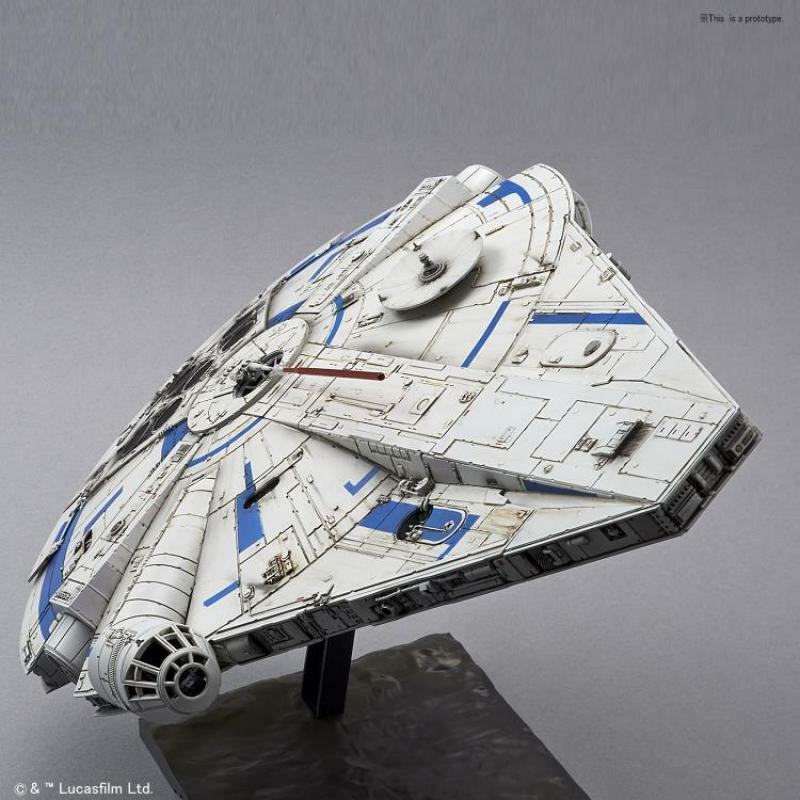 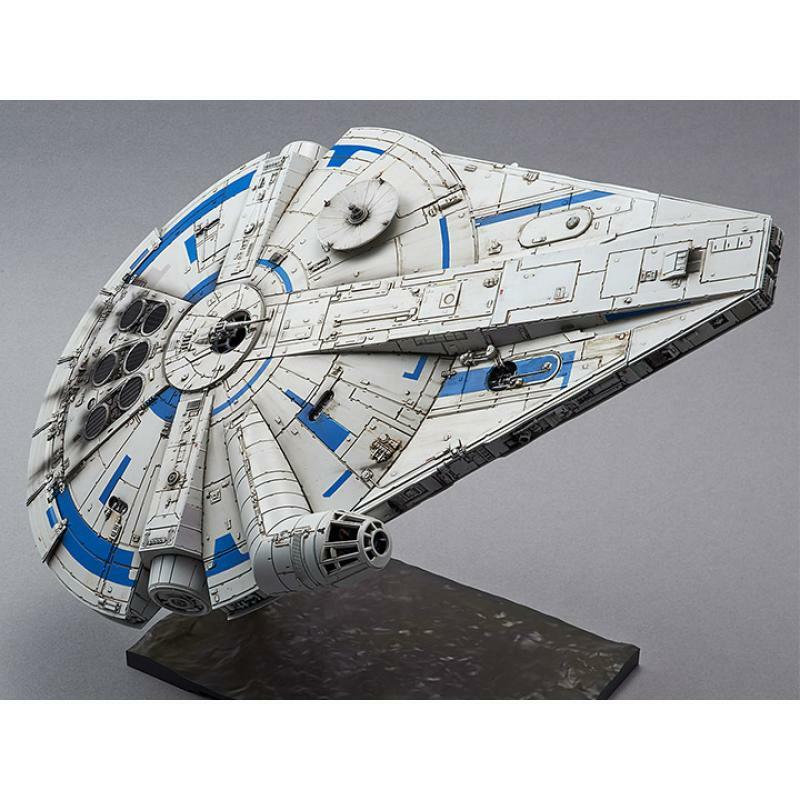 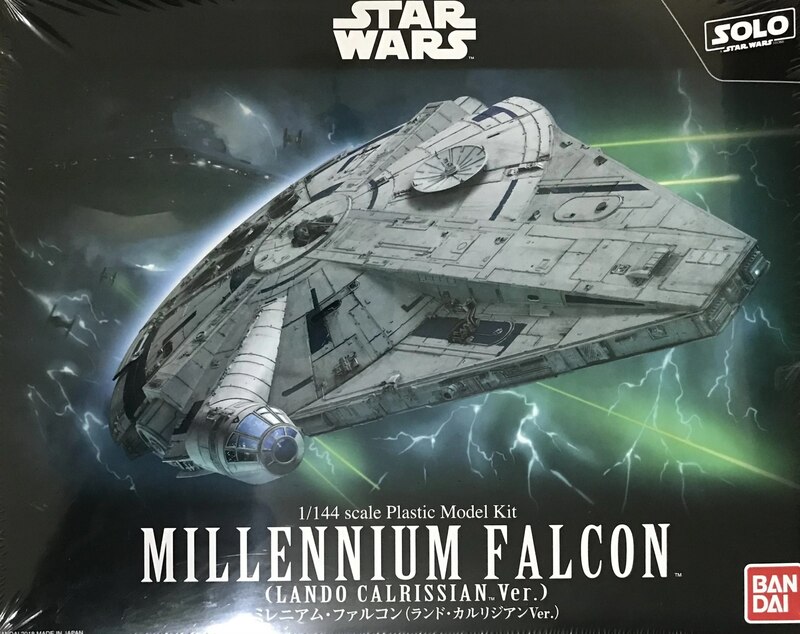 A representation of the Millennium Falcon in its original form as depicted in Solo: A Star Wars Story makes its way to your shelf as a 1/144 model kit! 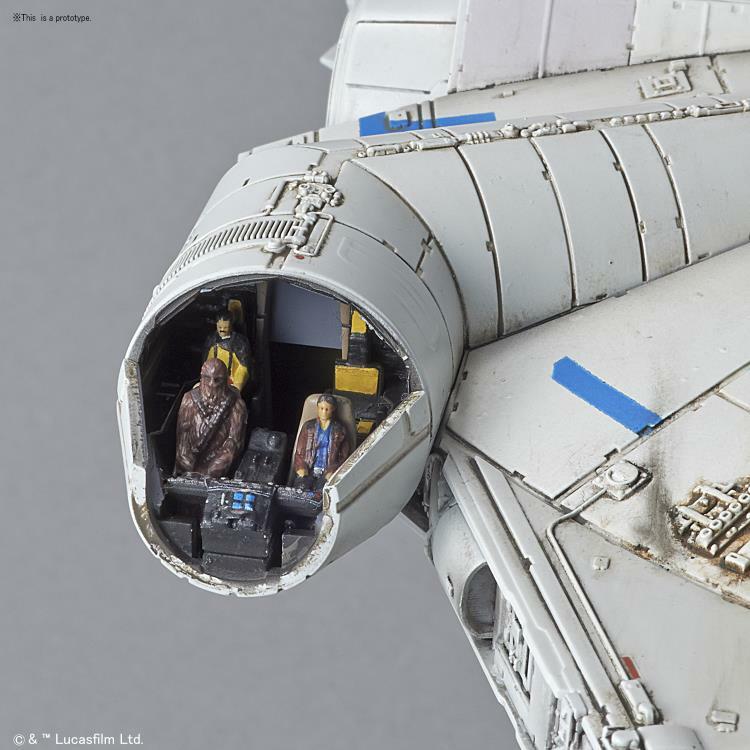 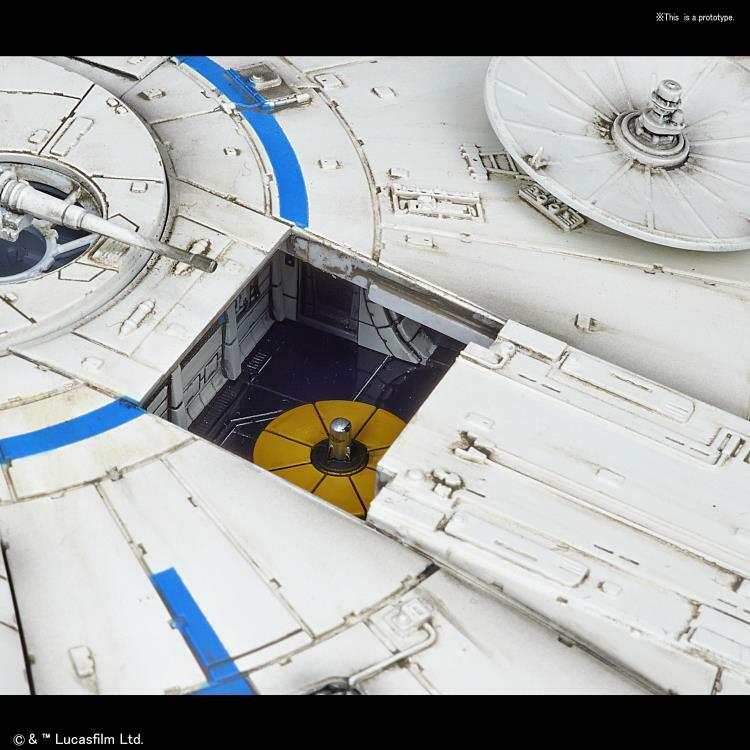 Utilizing new molding, this version of the Falcon includes removable sections of the fuselage to display the highly detailed interiors of the cabin along with a special gimmick that allows the front shuttle portion to be shown separated from the main body. 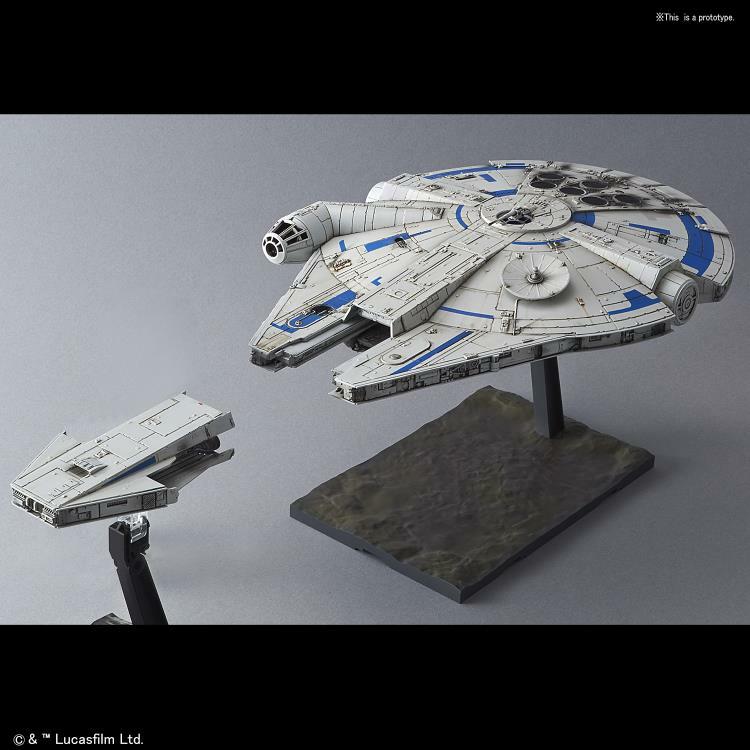 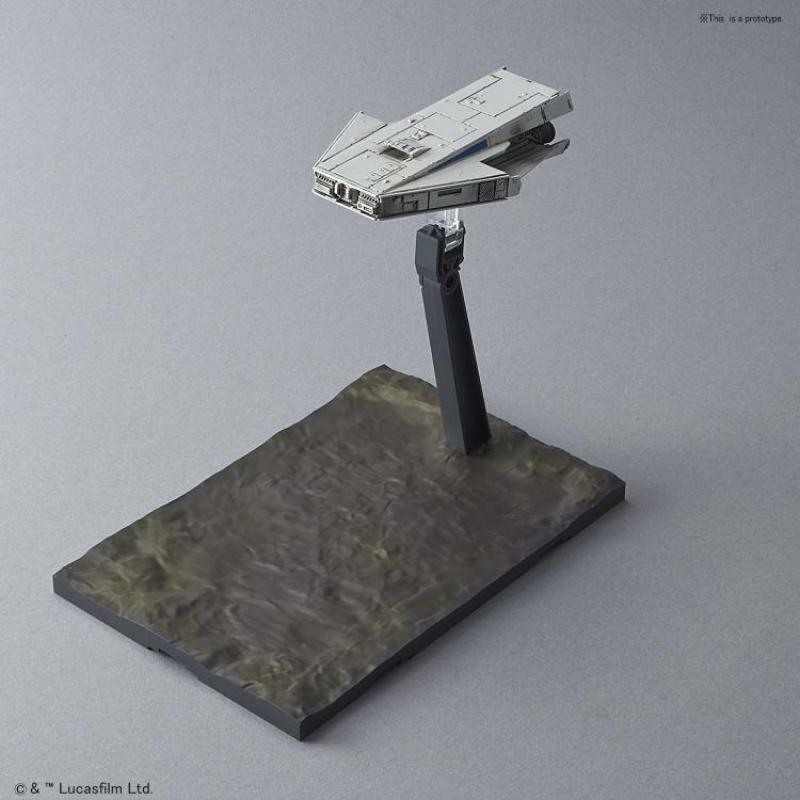 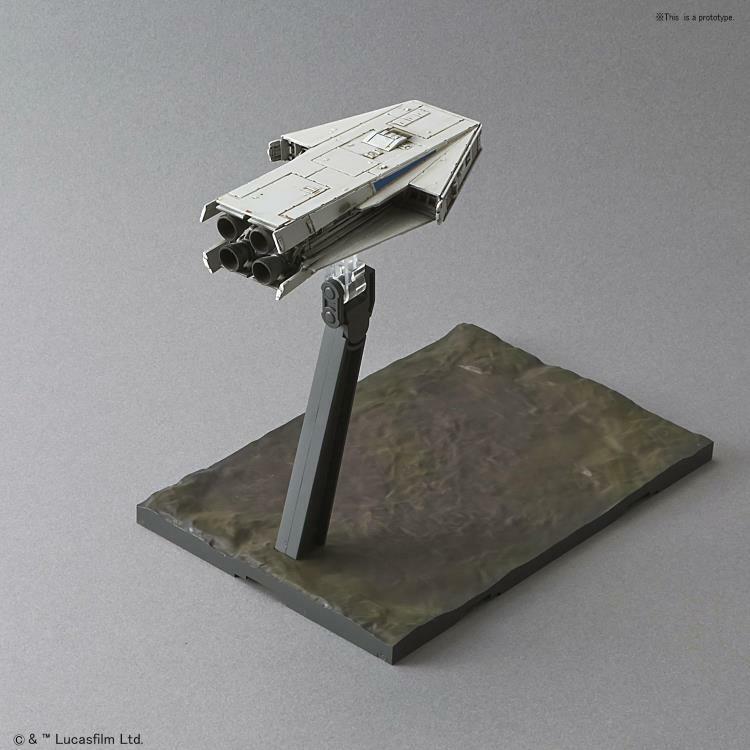 Two stands for the shuttle and Falcon are included along with 2 laser effect parts for the weapons. 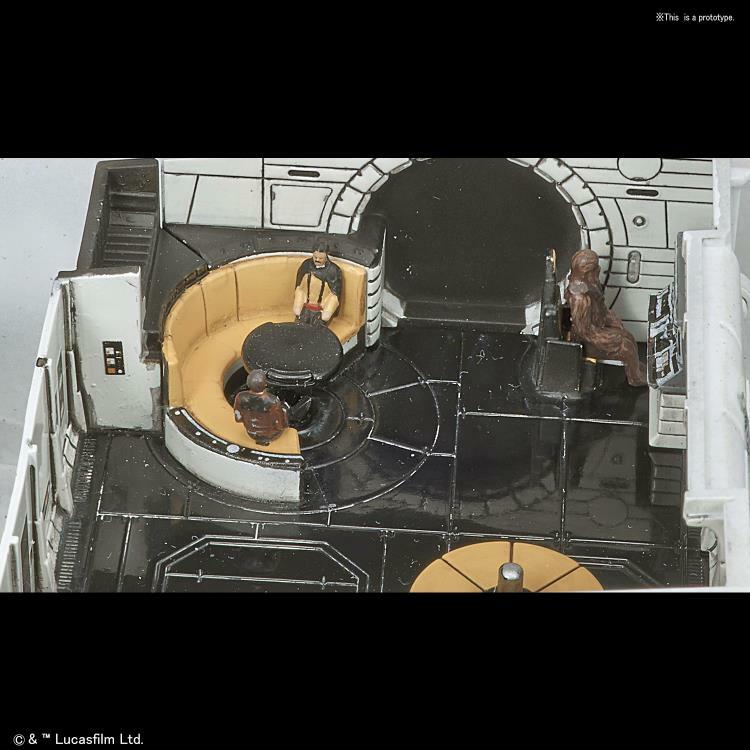 Includes Han, Chewie, and Lando seated figures. 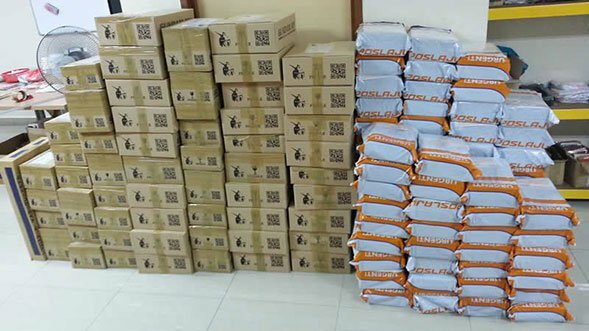 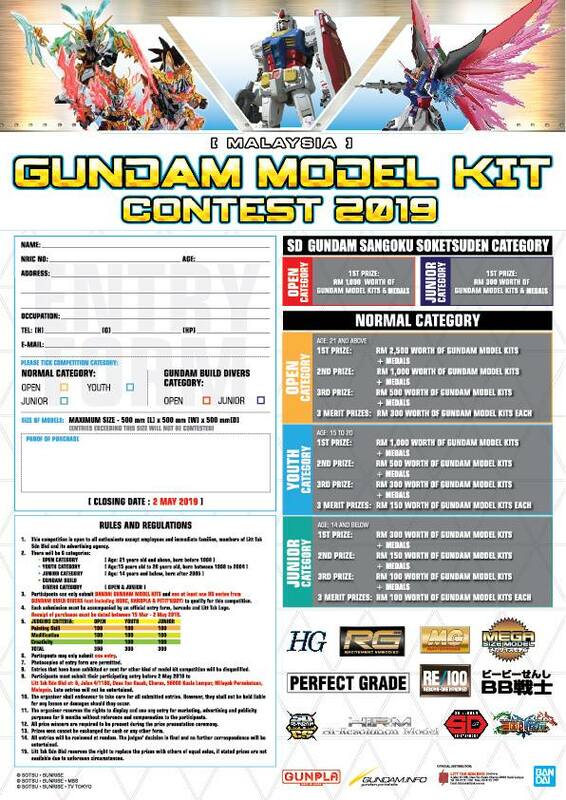 Runner x 9, Water Decals, Stickers, Instruction Manual.